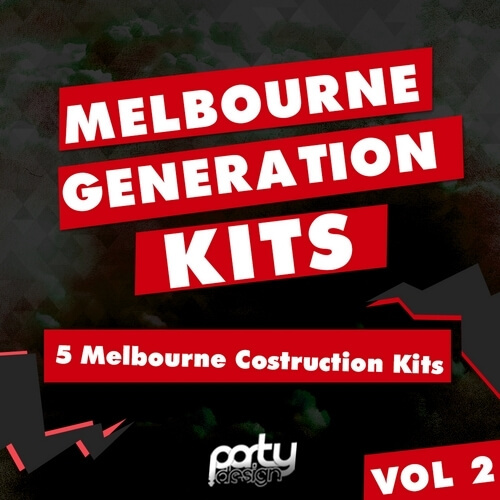 ‘Melbourne Generation Kits Vol 2’ is the latest in this Melbourne Bounce series from Party Design. This Volume brings you plenty of lead loops, bass loops and Royalty-Free MIDI files so you can make huge tracks in the style of the biggest Melbourne Bounce producers. Inside you will find everything you need to create top Melbourne and Big Room style tracks inspired by producers such as Vinai, MAKJ, TJR, Deorro, Will Sparks and Joel Fletcher. This pack is the newest must-have collection for your library. These awesome Kits will provide you with endless editing possibilities!